In Oriental viewpoint, everything in this world is made of "qi". It means that human body and mind are also made of qi, and everything in this world is qi itself. There is a principle of Oriental thinking to express how qi is, the state of qi as words of yin (qi) and yang (qi). However, with only this principle, everything in this world is filled with words of yin and yang. This is why there exist names, such as "cold and heat", "top and bottom", "wind", "pencil", "Japan", or "Mr./Ms. somebody", to disitinguish each other. 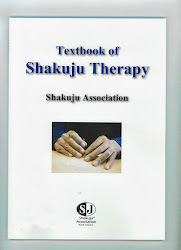 This book (note: "Yamai hitokuchi memo") is what this way of thinking is applied to the body. By the way, when a person dies, he/she becomes cold. This is the state that there is no movement of qi. On the other hand, a person who is alive, qi is moving and he/she is warm. When the movement of qi is stagnated even a little, presume that a cold part (Hie, the fundamental cold), which can lead to death, is made somewhere around the core of the body. The core of the body means the inside of each cell, and also what is deep, in terms of connecting to life, such as the bone, the internal organs the marrow and the brain. Any disorder of mind/body, such as the knee pain, headache and so on, is all stemming from the fundamental cold, causing from such stuck of qi movement. When you see diseases in such a viewpoint, it is possible to sum up a way of considering the body. When you get used to see any condition of the body in such a way, you do not need to be twisted around by how to consider various sympotoms. 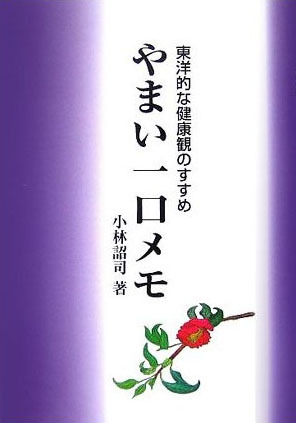 *This article is translated from an extract of preface of "Yamai hitokuchi Memo" written by Shoji Kobayashi, 2005. Articles of "Yamai hitokuchi memo (Memos for diseases- oriental view of health)" were originally written in newsletters for patients, called "Ochanomizu dayori". *Y's note: Sorry that I began uploading translated articles of "oriental view of health" without this core bit... There are many ways of so called "oriental" views, however, some of them are applying "western" schemas of thinking, using "oriental" terms. Actually, in the beginning it would be hard to get used to this way of thinking, because we are so used to think in "western" schemas, classifying and subdividing matters. It is not that everything in this world is made of "invisible" essence called qi, rather, it starts with a priori assumptions to think everything in this world is made of qi, including the visible and the invisible.